Elizabeth Barrett was the first of twelve children born to Edward and Mary Moulton (the Moultons later took the last name Barrett) on March 6, 1806, in Durham, England. Her father was a possessive and demanding man loved by his children even though he rigidly controlled their lives. Elizabeth's childhood was ideal in that the Barretts lived in a lovely setting, a country house called Hope End. She was an excellent rider and enjoyed growing up with her many siblings. Forster, Margaret. 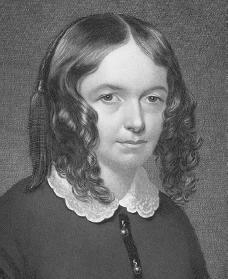 Elizabeth Barrett Browning: A Biography. New York: Doubleday, 1989. Taplin, Gardner B. The Life of Elizabeth Barrett Browning. New Haven, CT: Yale University Press, 1957. Did any of the Barrett children marry besides Elizabeth , why was the father so controlling, what was the source of their money. Very interesting and informative article. I would like to know if any of her siblings married as well.